Paralegal Diploma from Seneca College of Applied Arts & Technology, 2013. Diploma in Correctional Work from Centennial College, 1999. Marisa graduated from Seneca College’s Paralegal Program in 2013 and obtained her Paralegal license with the Law Society of Upper Canada in March 2015. 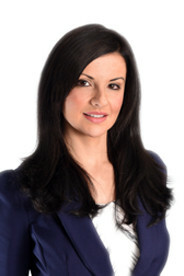 Prior to practicing as a Paralegal at MCD, Marisa worked for a large Canadian insurance company. She has worked in the insurance industry since 2004 and has over 10 years of claims handling experience in Property Damage, and Casualty. She spent many of those years specializing in subrogation claims handling. Prior to the insurance industry Marisa worked in Corrections with adults and juveniles in custody. Marisa is fluent in Portuguese. As a Paralegal, Marisa has carriage of Small Claims Court actions exclusively in the area of subrogation and insurance defence, dealing with property damage, product liability, water damage and fire claims and motor vehicle accident claims. In addition, she assists lawyers with the preparation of pleadings, affidavits, damage briefs and motion materials for Superior Court actions.